The majestic red deer establishing his position in the herd. Red deer were introduced to New Zealand in 1851 by acclimatisation societies along with other deer and game species. The first red deer to reach New Zealand were a pair sent from a herd from Essex in England. 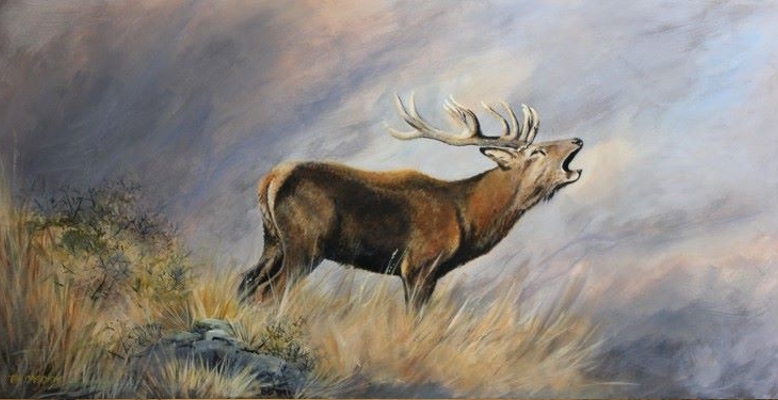 Considered by authorities as invasive introduced pests, yet prized by hunters for trophies and meat, red deer are the most commonly found species of large game animal in New Zealand.